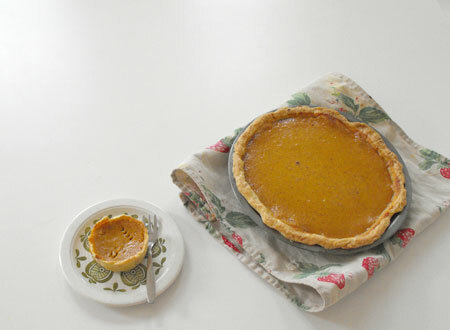 I think Thanksgiving has to be one of my favourite holidays, mostly because it is centered around food… in particular pumpkin pie. Sosi shares my deep love of pumpkin pie. I always make her a mini pie, because I know she has a hard time waiting until dinner to have some. I finished Ila’s dress. It turned out so great, so cute and cozy. I used this pattern here and made a few modifications. I will definitely be knitting more dresses! Oh PUH-LEASE! Would you look at that girl? She is the MOST ADORABLE CREATURE ON THE PLANET! 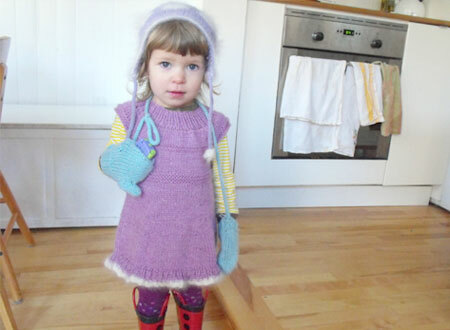 Look at how she’s wearing her mittens! The rubber boots are killing me. Also, the dress is gorgeous. I am totally diggin’ the samoyed (I guess?) at the bottom hem. Pumpkin pie is my favourite thing about thanksgiving too!